(Satire-burg, NJ). The Big 10 went bargain shopping went it dangled membership in front of cash-strapped Maryland and Rutgers. The B1G’s spare change was more than enough to have those two schools running around giddy like Julia Roberts shopping on Richard Gere’s dime in Pretty Woman. 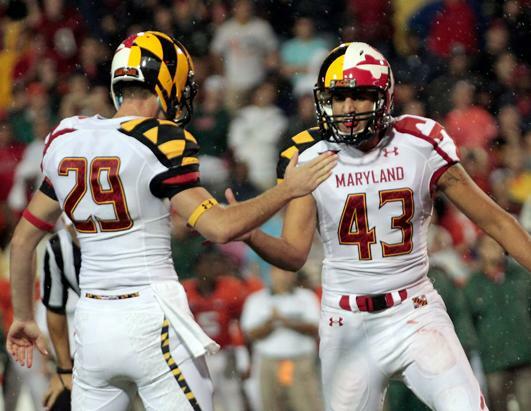 But Maryland and Rutgers are reportedly not receiving a full share just yet. And both schools now need to make coaching changes despite the tight economic circumstances. For Rutgers, unfortunately, the budget for a football staff is not what it used to be. Thus, Rutgers has hired an undocumented immigrant as its new head football coach. There are no details on the name of the new hire yet. As we all know, immigration is particularly controversial. On the one hand, you have Democrats like Hillary Clinton and Bernie Sanders in favor of opening the doors to all immigrants for all reasons. On the other hand, you have Democrats Republicans like Jeb Bush and Marco Rubio in favor of opening the doors to all immigrants for all reasons. The “divide” on this issue will cause billions of dollars in political ads to ruin your life for the next 12 months. And then there is Donald Trump, who wants to do some things that make all of the above angry at him. Good times. But what seems to be the prevailing wisdom (i.e. likely not true) is that immigrants, particularly undocumented ones, are at the very least willing to do jobs that non-immigrants are apparently unwilling to do. You can think of some examples. And then add to that list–coaching football for Rutgers. The challenges are heavy for any Rutgers football coach. First, Rutgers is an ongoing dumpster fire. See here and here. And that was before the school launched an investigation into its head coach for various and sundry things. Second, Rutgers is in a division with Ohio State, Michigan, Michigan State, and Penn State. That’s all. Third, the hire will be working for an A.D. that is coming over from the law school. Because, yeah, there is no better training ground for an athletic department than running a law school. Finally, it is Rutgers. Although little is known about the new hire, he reportedly has a long history of playing futbol. Apparently, from the time he was 5, it has been his passion. And, in all candor, he was willing to take the job. For Rutgers, however, the big selling point is that he is willing to not only take the job, but accept a very reasonable salary to run the football program for at least a year. And with that, a match was made. It will be interesting to see if Rutgers can turn this action into a success. If so, look for other cash-strapped Universities to follow Rutgers’ lead. Or perhaps take it one step further by outsourcing the assistant coaching responsibilities to India. At least there may be a reason to watch Rutgers next year. GERG for NFL Commissioner Campaign! Word on the Interwebs is that Al Pacino is attached to play Joe Paterno in a movie based on Joe Posnanski’s biography Paterno. Ok, so be it. But the Confidential cannot help wonder who will play all the other major players in the Penn State scandal. Here are the Confidential’s recommendations. It’s hard to argue with the great work that William Shatner has done with the Priceline.com commercials. How about Sir Ian McKellan… from Gandalf to Graham. Just needs to lose the hat and perhaps darken the hair a bit. Child’s play for Hollywood makeup artists. Sydney Pollack was made for this role. But with his unfortunate passing, we’ll go with someone a little more Italian-American, Armand Assante. He will probably have a nice watch, which is essential for the role. Victor Garber, best known as Agent Jack Bristow on Alias. Of course, he was also in Titanic–which had a more successful ending than Paterno’s career. All he needs is some glasses. We also might have considered John Banner, who played Sergeant Schultz on Hogan’s Heroes. But he passed away 30 years ago. Oh well. Crap, they don’t hire red-headed actors anymore. Ron Howard ruined it for everyone. By default, the Confidential will go with some guy named Damian Lewis that most of you have probably heard of. Talia Shire. She was the wife in Rocky. She was the sister in The Godfather. I think she is required to be the wife in any movies regarding Italian-Americans. She’s probably too young, but so is Al Pacino. Whatever. Not the Confidential’s problem. Jon Voight. C’mon, he can pull it off. What do you think? Any better suggestions??? After a quiet several weeks on the conference realignment front, and despite the football season being 2 days away, here come some more rumors. 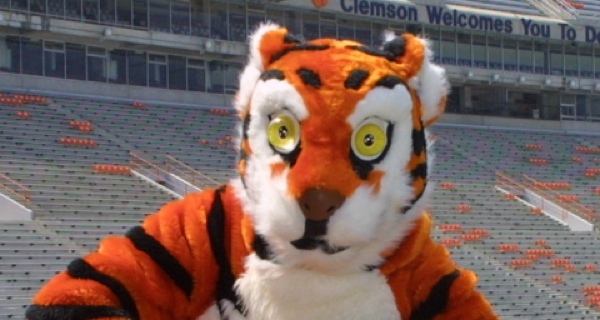 Specifically, there is scuttlebutt that the SEC will be looking to add Clemson as its 15th team and then invest some time deciding on which team would be the best fit for team #16. Naturally, with the ever-wandering eye, Florida State is shaving its legs and hiking up its skirt to attract attention from any conference willing to look its way. With all the trouble that the SEC has had trying to figure out a balanced schedule with an East-West split without losing so many important traditional rivalries, it looks like the conference is ready to just throw its hands up in the air and use the nicknames to “randomize” the distribution. Stressing to the “soon-t0-be 65% as rich as the ACC, but also 0% ACC (which is all that matters)” Big East that its basketball team having more success than its football team is a trend that will continue. 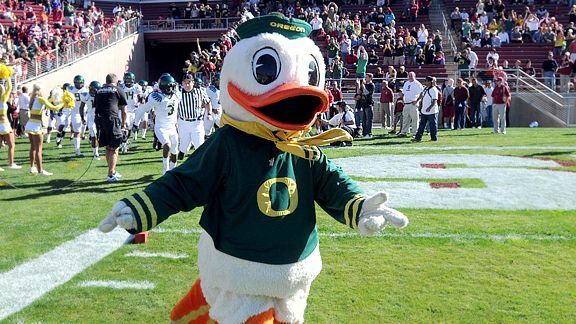 To its credit, Florida State is not trying to join the Pac-12. Although the Florida collegiate system deems its Tampa-university to be “South Florida,” apparently there is SOMEONE in the state who pays a little attention to the map. Never a dull moment when it comes to real or pretend expansion news. (Where FSU Fans Think All The ACC Evil is Concentrated, North Carolina) Well, the Confidential may end up having the proverbial “egg” on its face. The Confidential was just defending North Carolina in its academic probe. However, shocking new details are emerging that suggest the Confidential was, simply, 100% wrong. Please accept our apology. ENGLISH 106: LIMERICKS, HAIKU, and BATHROOM GRAFFITI. Description: Not just for the Irish, Japanese, and people who use urinals, students in this class will hone their creative skills by writing short, attention getting pieces. This class involves a midterm, as well as a field trip involving bar hopping so that students to demonstrate their skills in real life situations. Note: This class is a prerequisite for ENGLISH 107: RAP FOR WHITE GUYS/ADVANCED RHYMING. BIOLOGY 108: NATURE -n- STUFF. Description: This class provides students an opportunity to check out nature. Whether you like looking at the sky, looking at animals, looking at plants, or looking at rocks, you’ll get to check it all out in this class. Note: Now that the Lab requirement has been removed, this class is only 3 credit hours. PSYCHOLOGY 221: STRIPPERS, LEVEL 1. Description: The strippers series of classes focuses on trying to determine why strippers became strippers, a complex interplay of both psychology and sociology. The entry level class is tailored so that students can begin to identify strippers and distinguish them from non-strippers. Note: Class Fee of $50, which provides a 3-month pass to The Chapel Hill Gentlemen’s Club, two non-alcoholic beverages, and one lap dance. STATISTICS 111: SPORTS STATS. Description: The use of statistics to measure performance in sports is well known. This class focuses on how to calculate various sports statistics, including (a) simple categories, such as wins and touchdowns; (b) average categories, such as points per game; and (c) advanced stats, such as slugging percentage. Note: Prerequisite for Sports Stats II, which covers earned run average, QB rating, and win-shares. ART 108: LEGOS(R). Description: Once merely a child’s toy, Legos are now a well-recognized medium for artistic expression. Students will have to demonstrate the ability to both secure the blocks together and to do so in a way that makes some sort of sense. COMMUNICATIONS 122: DISCUSSING TV. Description: Students will have the opportunity to survey and analyze television shows and discuss them with other classmates. Note: This class requires biweekly 140 character essays to be submitted via twitter and/or text message. HEALTH 114: JOCKS FOR JOCKS. Description: Beginning with a historical look at the athletic protector and protective cup in primitive times, students will study the evolution of these safety devices as well as the proper way to purchase, wear, and clean same. And the Confidential did not even bother to print the descriptions for classes, such as HISTORY 155: NEWS TODAY; ECONOMICS 144: AGENTS AND BOOKIES; GEOLOGY 113: GEODES AND MARBLES; and SOCIOLOGY 130: UNDERSTANDING YOUR POSSE. Needless to say, this curriculum guide truly does call into question the education that athletes are receiving at North Carolina.